Raleigh Law Firm, MarkBibbsLaw | John V. Brown, Jr.
John V. Brown, Jr. is a native of Fayetteville, NC and is a lifelong resident of North Carolina. 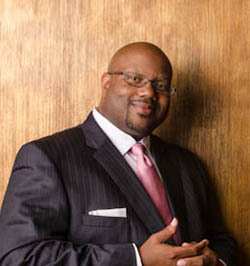 He is a 1994 graduate of the School of Music at the University of North Carolina at Greensboro, and a 2000 graduate of the School of Law at the University of North Carolina at Chapel Hill. In his career in Law, John has worked as a Summer Associate at Smith, Helms, Mulliss and Moore, LLP (Raleigh and Greensboro offices), as an intern with the Office of the Orange County (NC) District Attorney and the North Carolina Attorney General’s Office (in Consumer Protection, Special Litigation and Motor Vehicles Divisions), and as an affiliate with Brenner & Brenner, PA in Chapel Hill (focused on Civil Litigation, Federal Criminal Litigation and Medical Malpractice). He now focuses on associating with firms as a consultant, and as a primary aid to coordinate all aspects of case litigation and trial support when parties are unable to reach an agreement by other means. In his career in Music, he has spent decades as a performer and educator. John has taught at Duke University since the Spring of 2001, and is currently a Full Professor of the Practice at Duke. He has also taught at UNC-Chapel Hill, North Carolina Central University, North Carolina State University and Guilford College. He has served on juries for the Pulitzer Prize and the National Endowment for the Arts, and he is a Grammy-nominated artist who has performed all over the world. As a jazz and classical double bassist, some of John’s most notable performances include a featured performance with vocalist Nnenna Freelon at the APEC Conference in Honolulu, HI for President Barack Obama and First Lady Michelle Obama, and years of performances in the US and internationally with artists like Ellis & Delfeayo Marsalis, Elvin Jones, Linda Lavin and Rosemary Clooney. He has also performed with the North Carolina Symphony, the Carolina Ballet and Opera Company of North Carolina. John’s extensive performance experience includes feature films, television movies, theater, and recordings. In addition to teaching and performing, John is an active member of the Screen Actor’s Guild. John is a YAMAHA Certified String Instructor and serves on the Board of Directors of the Duke Cancer Patient Support Program.